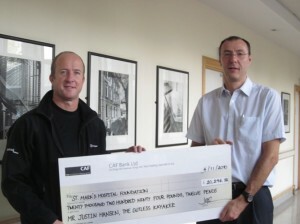 Last week I produced this cheque from my oversized pocket and handed it to Dr. Simon Gabe at St. Mark’s hospital. 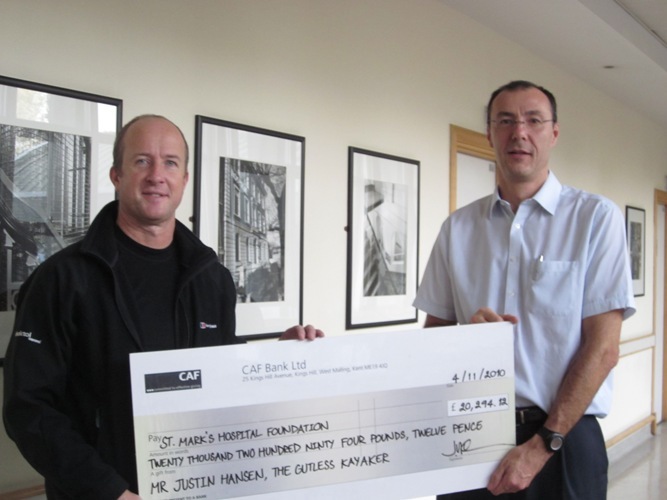 It was made out for over £20,000 and the total is rising – lines are still open so it’s not to late to donate. Simon thinks I may have performed a world record as he’s not aware of anyone else on artificial nutrition completing this type of endurance event before, but we’re not sure where to look things up….. 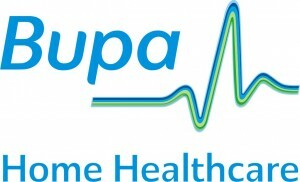 I had a great day at BUPA in Harlow last week. Really lovely people with amazing fundraising cakes made for Gutless Kayaking, especially this one that Jules made. 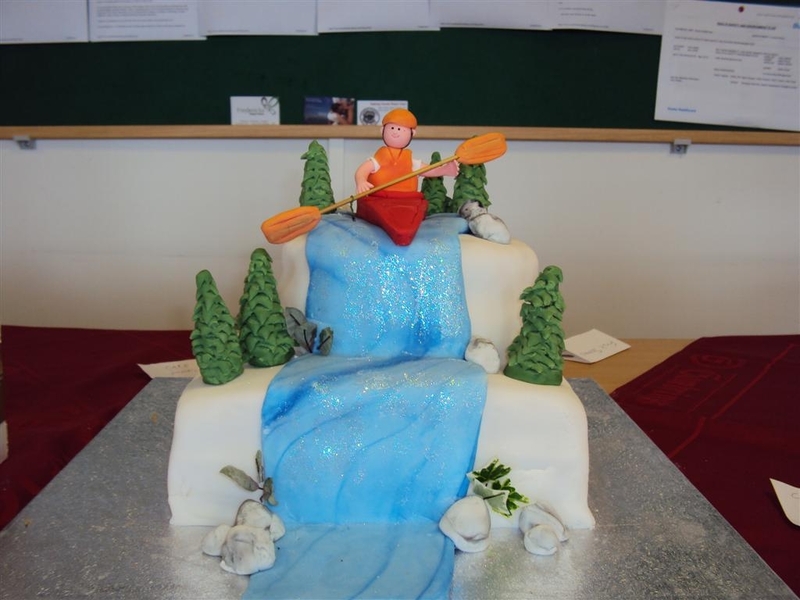 The staff raised £380 for us at this event – which BUPA will double with their community connections fund matching policy. I was also lucky enough to be shown around the compounding facility – a hyper sterile environment, a bit like something out of a James Bond movie. 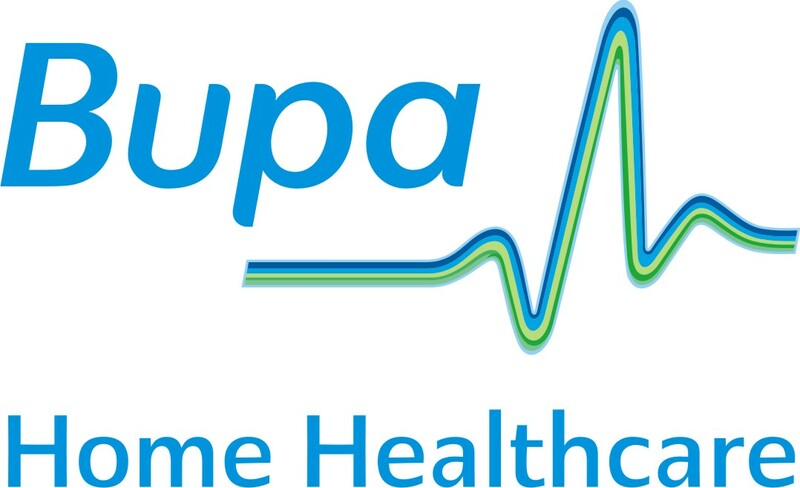 Bupa Home Healthcare, Justin’s home healthcare provider, is supporting the Gutless Kayaking Challenge by holding their own fundraising day on Thursday 19th August. Bupa employees will be selling cakes and entering a ‘guess how many sweets are in the TPN bag’ competition to help raise some more cash.